Swift Services is ready help you through the process. We are prepared to do the Level II Inspection needed to help you make your claim. 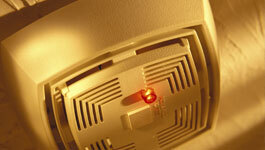 We are experienced working with insurance professionals. Some underwriters consider us preferrred contractors. Whether you have had a chimney fire, lightning strike, or some other event that has damaged your chimney or home, Swift Services is prepared to see you through the process to a beautiful restoration. 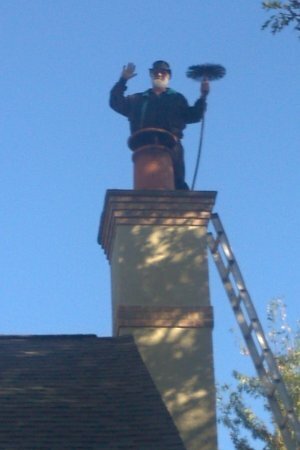 A chimney fire is the ignition and rapid burning (combustion) of creosote on the chimney walls. This coating is composed of incompletly combusted gasses in the form of tar. Creosote is caused by burning damp wood, small fires, or a lack of air flow in the firebox. All three of these conditions cause heavy cool smoke that condenses on the walls of the flue (exhaust pipe). Oil heaters can also coat the walls with creosote caused by too rich a mix in the oil burner. Bottom line is these tarry accumulations burn hot and fast. When this oil tar or creosote (wood tar) ignite, they shock the flue and the chimney with a rapid rise in temperature. Masonry and metal chimneys like gradual temperature changes. They can get really hot, just not too quickly. Rapid temperature spikes will crack terra-cotta, and surrounding masonry structures. Metal chimneys will warp and oxidize. Question: So what can happen when I have a chimney fire? Answer: It causes chimney failure and can catch the house on fire. Chimney fires can reach 2000 degrees F.
Question: How do I know if I have had a chimney fire? Answer: Usually you do not, but your neighbor does. They knock on your door and excitedly tell you that your chimney looks like the business end of a rocket engine. Sometimes you can hear your chimney rumble and rattle. That is the sound of fire and rushing air. Most of the time people are not aware because they are out of the room or out of the house. Question: What do I do if my chimney is on fire? Answer: 1st call 911 or local fire department. Next cut of the air to the heating source if possible, which can mean closing glass doors, dampers or flipping of the red switch to the oil heater (usually located at the top of the basement stairs or on the side of the heater). Once the fire department shows up, they will extinguish the fire; then determine if your walls are hot and possibly smoldering. If the fire is contained within the chimney only little damage will be done to the home. If the chimney fire is a large one, your chimney, roof and walls of your home could ignite. 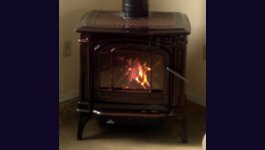 The fire chief will inform you not to use the fireplace until a qualified (Certified) chimney mechanic is notified and assess the damage to the flue and chimney. Chimney fires almost always destroy the chimney. In rare cases it is so small and short lived that the chimney survives. Do not get your hopes up; this is rare. Damaged chimneys are dangerous and should not be used until damages are accessed by a certified chimney mechanic. Swift Services technicians will respond quickly and professionally to your call after a chimney fire. We will clean and video inspect the flue, documenting its condition. 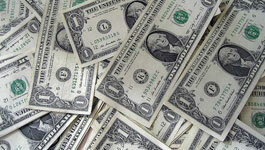 We will provide accurate and truthful reports that can be used for insurance claims. Dozens of chimneys in our area are struck each year. The chimney top may be completely blown apart or just ripped open. Sometime a pin point strike just pops a pencil size hole in the flashing or brickwork. The heat of the lightning can be extreme; up to 5,000 degrees instantly. This does two things. The first is the expansion of water (from rain) in the chimney structure. This is a powerful force than can blow large brick and blocks 100 feet away or more. The second thing that happens, is the material itself expands, cracking it instantly. This includes the brick, block, stone, terra-cotta liner, fireplace, etc. Lighting likes to travel through conductive materials until it reaches the opposite charge. It can travel down the chimney, through the fireplace, through the nearby wiring, and down to the basement, until it gets to ground. While on the move the lightning has shocked everything it touched. Thermal shock breaks masonry. Electrical shock creates thermal shock. The result is that the chimney usually breaks and creates the need for an insurance claim. When we are called out after lightning strikes, we perform a Level II inspection where we survey external and internal damage and, then write a report that you can turn in to your insurance company. If contracted we can restore the chimney to original condition, using the same or in some case, better material. We now use 316 Ti alloy stainless steel flue liners rather than the old style terra-cotta when entire flues are upgraded in material allowed by insurance companies. The cost of the initial damage inspection including a video scan, are covered by the insurance company, and count towards your deductible. Sometimes chimneys are damaged by high winds or falling trees. When this happens we recommend that you call Swift to evaluate the damage, create a report for you and or your insurance company, and estimate the repairs as needed. We can fix or replace any damage resulting from storms to your wood, metal, or masonry chimney, parapet wall, or surround structure, roof, siding, or framing. Swift Services is a full service General Contracting company. We have highly qualified and experienced staff members who can write estimates on damage caused by storms, lightning, fire, wind, and water. Whether masonry, siding, roofing, metal, framing, drywall, painting, or heating/AC units; our mechanics have you covered. Swift is trusted by insurance companies because our evaluations and estimates are honest, fair, and thorough.